Players face off using actual short blade hockey sticks. The hockey fun entails maneuvering the ball through the holes on the synthetic ice playing surface to score. 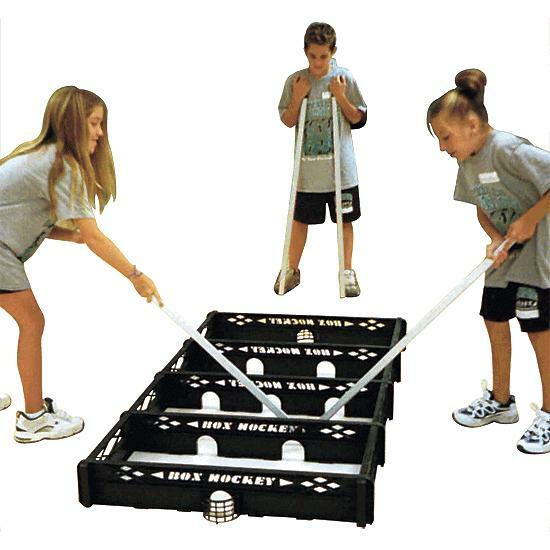 Box Hockey is 6’ x 3’.